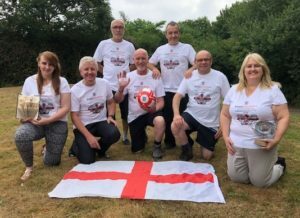 England – Bring it Home! Our award winning team dressed up in England shirts for the big game! Come on England!